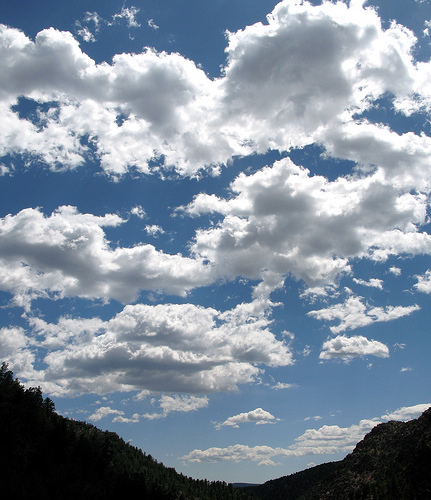 Tech Transformation: Moving to the cloud: how wrong can you be? Moving to the cloud: how wrong can you be? Three years ago, in my first term after moving to a new school, I was told by an administrator that cloud computing would fail. Another administrator mentioned at a parent meeting that he didn't believe in a 1:1 programme because there was no evidence that technology enhanced learning. Alarm bells started to ring. I knew I'd made a bad move and was in the wrong place. This vision of the future didn't match up with mine. 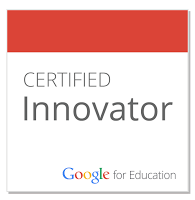 Two years ago, after becoming a Google Certified Teacher I wanted to introduce Google Apps for Education at the school. I was told that cloud computing was not safe and that students should use the school network folders and mail. A limited trial of GAFE was allowed for two grades. The alarm bells were deafening me at this point. One year ago, in the first month of school, I announced on social media that I was looking for a new job. My daughter had just started her last year of school and I felt I could move on at the end of the year without disrupting her education. Thankfully I was offered a great new job. I'm now a tech coordinator at a wonderful school - everything we use is almost totally in the cloud, this year we have a BYOD programme for students and teachers and the Research and Development Team "studies, prototypes, designs and develops new teaching and learning environments for the 21st century". How wrong can some people, some schools be? I'm glad I stuck with my own vision. I'm glad I found a school that has such a vision. Here's an interesting infographic about going to the cloud from Online Colleges. There are some pitfalls identified, but to us challenges are just things we need to think about and work through. This is the interesting infographic about going to the cloud from Online Colleges. Thanks for sharing. School emails and the labyrinthine network of folders here, which for someone who is working collaboratively with eight grade levels couldn't be more painful. Depressing when the enthusiasm and passion to bring about change is gradually sapped from you leaving no option but the exit doors. Glad to hear you're enjoying Mumbai!